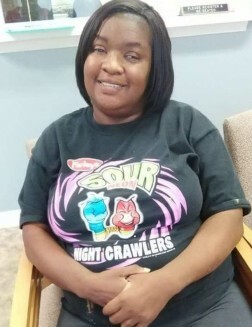 Danyell White-Knight, 45 of Sunbury, NC was born on June 19, 1973 in Suffolk, VA. She transitioned from this life and entered eternal rest on Friday, March 29, 2019 at Virginia Beach General Hospital. She was the 2nd daughter of the late Clifton White and Carrie Baker White. She was also preceded in death by the following: paternal grandmother, Cleo White Dildy; maternal grandparents, Joe Baker and Mary Norman Baker; Sister, Joan White; and God-daughter, Crystal Jordan. Danyell was affectionately called “Danni” by her family and friends. Danyell graduated from Gates County High School in 1991. She went on to obtain her Associates Degree is Cosmetology from Roanoke-Chowan Community College. Before her health began to fail, she was employed as a long time employee of Holiday Foods where she was adored by the customers. Danyell was known to be the “go-to” person for much of her family’s history. Danyell was a loving wife, mother and sister. She will truly be missed. She leaves her memory to, her husband Michael Knight; one son Travonte Smith and one daughter LaKenya Smith; one sister Aretha “Nikki” Earls (Stan); 6 step-children; 9 grandchildren, Grandfather, Edward Dildy; two God-daughters Melissa and Jessica Jordan; four nieces, Bryanna, Darynn, and Daryanna Earls, and Camysha Rorie; one nephew, Jaijuan Boone; two great nephews Alexander and Nolan Holloway and a host of aunts, uncles, cousins, and friends. A celebration of life will take place on Saturday, April 6, 2019, at 1:00pm at New Piney Wood Chapel Baptist Church. The family will receive friends and members of the community on Friday, April 5, 2019 from 4:00pm-7:00pm at the funeral home.